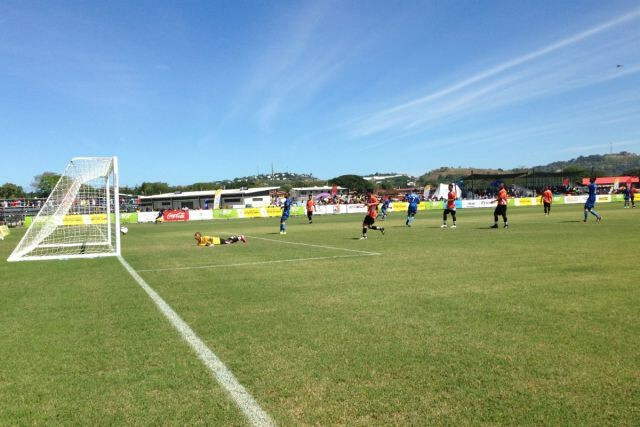 Fiji hammered the Federated States of Micronesia 38-0 here today in the Pacific Games football competition, surpassing the biggest international win on record. Forwards Tony Tuivuna and Chris Wasasala scored 10 goals each at the Bisini Sports Grounds, while Iosefo Verevou and Napalioni Qasevakatini both notched six, as Fiji eclipsed Australia’s 31-0 victory against American Samoa from 2001. A place in the history books is not guaranteed however as FIFA may not recognise the match as it involved under-23 players. Micronesia, who lost their opening Pool A match to Tahiti 30-0 on Friday (July 3), were 21-0 down at half-time. Coach Stan Foster substituted the side’s goalkeeper Walter Pengelbew for midfielder Dominic Gadad during the break, after which a further 17 goals were conceded. “We expected this sort of game,” said Foster, an Australian. 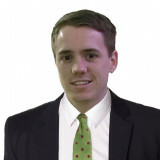 “We’re here for development purposes mainly and I’m just trying to keep the guys upbeat. Gadad, 20, admitted the match had been “difficult". He added: "Their players have experience and skills, but we will keep training and training. Tahiti overcame Vanuatu 2-1 in the other Pool A match, while in Pool B, New Zealand narrowly beat hosts Papua New Guinea 1-0 to clinch their second straight win,. 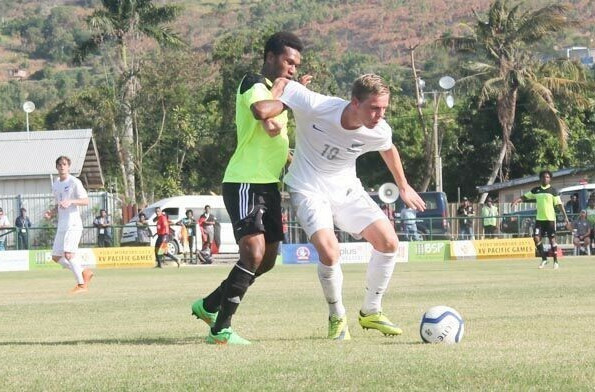 New Caledonia secured victory by the same margin against the Solomon Islands. Micronesia will attempt to restore some pride when they face Vanuatu in their final Pool match on Tuesday (July 7), while Fiji take on Tahiti next. Meanwhile in touch football, Tuvalu won two of their three matches played today at the Bisini Sports Grounds. An 11-3 defeat to the Cook Islands was sandwiched in between a 6-5 victory against Tonga and an 11-2 success at the expense of Kiribati. Hosts Papua New Guinea maintained their 100 per cent record with a 10-7 win against the Solomon Islands, who also fell to a 13-4 defeat at the hands of Samoa. The Cook Islands followed up their win against Tuvalu by beating Tonga 8-3 having earlier drawn 4-4 with the Solomon Islands. As for the women’s competition, Kiribati picked up their first victory, overcoming winless Tonga 5-3. The Cook Islands, meanwhile, played out a 4-4 draw against Samoa. Today also signalled the start of the women's basketball competition and the continuation of the men's tournament at the BSP Arena. In women's Pool A, Guam beat Nauru 116-25 before Tahiti defeated Papua New Guinea 90-57, while in Pool B, Fiji overcame New Caledonia 85-40 following American Samoa's 80-44 win against the Solomon Islands. As for men's Pool A, Tahiti defeated Samoa 87-59 following the Solomon Islands' 94-57 victory at the expense of Kiribati, while in Pool B, American Samoa beat Nauru 94-55 before Papua New Guinea overcame Fiji 75-73 in a tight battle.